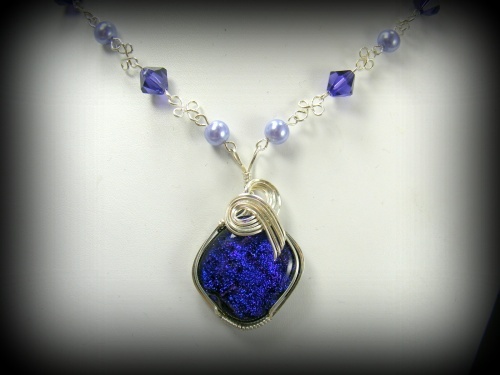 This piece is hard to picture as the focal is dark purple with enhanced sterling silver curls. Beads are Austrian Swarovski crystals in deep purple and light purple pearls. Beautiful piece has to be seen to appreciate. Measures 19". Comes with complimentary earrings and has a hook clasp.